Fungal infections on plants can often result in spots on the leaves. Removing infected leaves is one way to halt the damage. 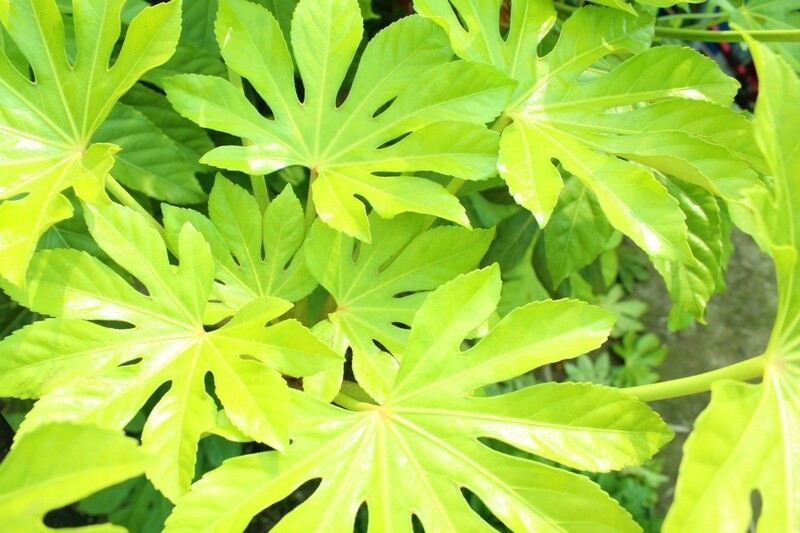 This is a guide about fatsia japonica with burn marks on the leaves. I've no idea what gardening zone I'm in but we have mild winters and mild summers - not much difference between the two it seems! My problem is a fatsia japonica which has developed what looks like cigarette burns on the leaves. Anyone have an idea what would cause this? No other plant is affected. This sounds an awful lot like leaf spot-a fungal disease caused by several different fungi. It spreads readily by means of spores from splashing water (rain), wind or insects-especially in humid conditions when the plant's leaves never have a chance to fully dry. The best way to keep it from spreading is to remove any infected leaves when the plant is dry. Also make sure to clean up any fallen leaf debris under the plant and avoid watering from overhead to keep leaves dry. Leaf spot can also be spread by dirty tools, so keep your garden tools clean to avoid spreading the spores. Treat existing leaf spot with a commercial fungicide containing fixed copper. Follow label directions carefully. Do you mist your plants? If you are spraying the leaves (with water) then letting it sit in the sun, the water droplets work like little magnifying glasses and will burn the leaves.